Does Your Right To Free Speech Depend On What You Have To Say? The U. S. Constitution includes the right of free speech for Americans. That allows anyone to say pretty much anything no matter how popular or unpopular it is (short of yelling “fire” in a crowded theater). Theoretically the government cannot punish you for your opinion or voicing your opinion. But we need to remember that the First Amendment is not universal. Most countries in the world do not grant their populations the right to speak freely. Tommy Robinson is a British activist who speaks out against the goals of radical Islamists to bring Sharia Law to Britain. He is the leader of the English Defence League (EDL) whose website defines it as an inclusive movement dedicated to peacefully protesting against Islamic extremism. Although he tells the truth about what is going on around him, he is definitely not appreciated by the British government. Yesterday Channel 4 News (British Channel 4 I presume) reported that Tommy Robinson and Kevin Carroll were arrested during a planned walk to commemorate Lee Rigby, the soldier hacked to death in Woolwich. As well as laying flowers in memory of Drummer Rigby in Woolwich, Mr Robinson and his co-leader Kevin Carroll had planned to walk to raise money for a young girl fighting against neuroblastoma. Reacting to the Met’s decision to impose restrictions, Mr Robinson said: “The police are enforcing no-go zones for non-Muslims. It’s a charity walk with two people taking part. The police force said the conditions were imposed due to fears that both the march and gathering would “result in serious public disorder and serious disruption to the life of the community” and a breach of the conditions would be a criminal offence. Pamela Geller and Robert Specer, two American authors who routinely speak out against Islamic radicalism, were barred from entering Britain to take part in the walk. An article at Townhall.com on Friday pointed out that Britain had no problem letting in Che Guevara’s daughter, Aleida. “The UK should never become a stage for inflammatory speakers who promote hate,” is how the British Home office explains its recent barring of Geller and Spencer. And what was this glory? Her father was 2nd in command of a regime that murdered more Cubans in its first three years in power than Hitler’s regime murdered Germans during in its first six, jailed and tortured political prisoners at a higher rate than Stalin during the Great Terror, and came closest of anyone in history to starting a worldwide nuclear war. There seems to be a bit of a double standard here. Why? Fear. Pamela Geller and Robert Spencer are not likely to blow people up if they are denied admittance to England. On the other hand, the area of Woolwich seems to be something of a ‘no go zone’ in Britain where the British authorities have ceded control of an area to Muslims who want to practice Sharia Law. There is now at least one official Islamic no-go zone in Britain. Presumably there are numerous others — in Birmingham, Bradford, Dewsbury, and all those other places where Muslims have claimed ownership of “their” areas. The Metropolitan police have now taken on the responsibility of enforcing the borders of these shariah-controlled zones, applying the rules laid down by the Islamic inhabitants. No-go zones are rather common in France and certain other European countries. They are areas where a Jewish person or a woman dressed in western-style clothing may be assaulted or even killed for entering the area. They are not something we would like to see in America, but they will come here eventually if they are allowed to thrive elsewhere. One of the main causes of no-go zones is the failure of a segment of the immigrant population to assimilate. As we are talking about immigration reform, we need to ask that the people who want to settle in America also want to be Americans. There is nothing wrong with keeping alive the traditions of the country you left, but when you immigrate to a new country, you need to live under the laws and customs of that country. That is a lesson that European countries are learning the hard way. The information below is from a fact sheet released from the White House on Thursday. Follow the link above to read the entire fact sheet. The United States strongly supports the great strides many African countries have made to ensure good governance, rule of law, and respect for human rights. We commend the progress they have made to broaden political participation and improve governance, and will remain a steady partner as they continue to work to strengthen electoral processes, ensure transparency and accountability in government, and provide security while respecting and protecting universal rights and fundamental freedoms. In Tanzania, the United States has dedicated $14 million to strengthening government accountability institutions and linking them with Tanzanian civil society watchdog groups and civic activists in a constructive partnership to further government transparency. The program focuses on improving access to information for Tanzanian citizens in four key development sectors: health, education, natural resource management, and food security. The United States will soon launch a program in West Africa to build the capacity of civil society organizations to responsibly advocate on land tenure issues, including land rights, working closely with governments and the private sector to improve responsible natural resource utilization and the protection and advancement of human rights and economic development. In plain English, this means that the United States is giving Kenya $53 million to set up national identity cards to be used for voter identification in elections. The purpose of this program is to ensure an honest election and promote peace. If voter id cards ensure an honest election in Kenya, why aren’t they necessary in America? I particularly like the part about civil society and an independent media playing a vital role in a vibrant democracy. I wonder if the White House reads its own press releases. Human Events posted this picture of the upcoming issue of The New Yorker magazine. 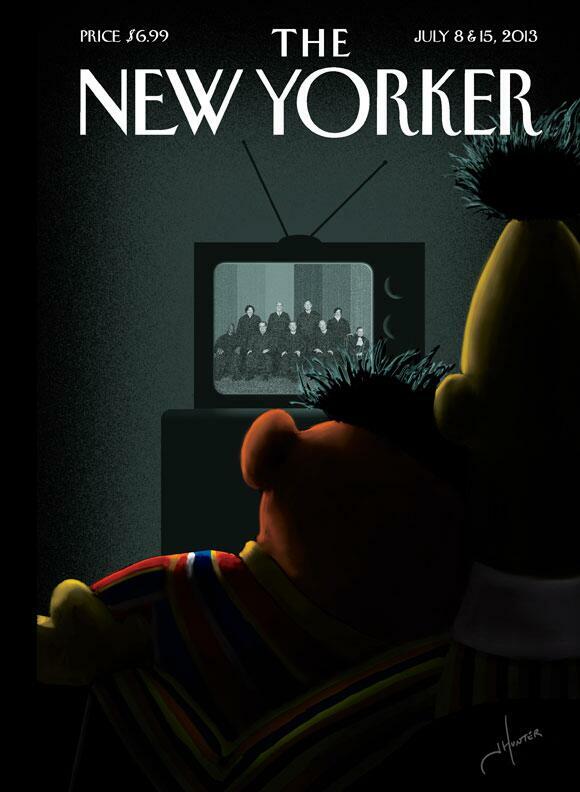 The implication on the cover is that Burt and Ernie are gay. What in the world is our culture doing to young children? Little children do not have to understand all that is meant by gay rights. They need time to play with their toys and their friends and enjoy being little children. This is ridiculous. Let’s just enjoy the relationship between Burt and Ernie without worrying about the details. There is such a thing as too much information! Last week President Obama declared war on coal. He’s been leading up to this for a while so it was no surprise, but he finally did it. The President sees coal as a danger to the environment and wants to replace it with other forms of energy–one of those forms being wind energy. Well, wind energy is not perfect either. On Thursday, the U.K. Mail Online reported that as British bird watchers watched the rare white-throated needletail soar through the skies it was killed by a windmill. ‘We all rushed up to the turbine, which took about five minutes, hoping the bird had just been knocked out the sky but was okay. ‘Unfortunately it had taken a blow to the head and was stone dead. This is not a new problem with windmills. CBS DC reported in May of this year that the Obama Administration had decided not to fine or prosecute wind energy companies when birds are killed by windmills. The result is a green industry that’s allowed to do not-so-green things. It kills protected species with impunity and conceals the environmental consequences of sprawling wind farms. Getting precise figures is impossible because many companies aren’t required to disclose how many birds they kill. And when they do, experts say, the data can be unreliable. Almost all of the birds which have been killed by windmills are protected under federal environmental laws, but because the Obama Administration has an agenda of supporting wind energy the wildlife protection laws are not being enforced in these cases. But PacifiCorp also operates wind farms in the state, where at least 20 eagles have been found dead in recent years, according to corporate surveys submitted to the federal government and obtained by The Associated Press. They’ve neither been fined nor prosecuted. A spokesman for PacifiCorp, which is a subsidiary of MidAmerican Energy Holdings Co. of Des Moines, Iowa, said that’s because its turbines may not be to blame. Someday we may look back on the Obama Administration and wonder whatever happened to equal justice under the law. Hobby Lobby has opposed the Heath and Human Services (HHS) mandate requiring them to provide contraception and abortion services to their employees since the mandate was written. Because of this opposition, they have faced fines of $1.3 million a day that were supposed to begin on January 1st of this year. Needless to say, they have fought the fines in court. (previous articles on this case can be found at rightwinggranny.com and rightwinggranny.com). Hobby Lobby has opposed the mandate on religious grounds. CNS News posted an article on Friday detailing recent events in the court battle between Hobby Lobby and the HHS. Today, for the first time, a federal court has ordered the government not to enforce the HHS abortion-drug mandate against Hobby Lobby Stores, Inc. The ruling comes just one day after a dramatic 168-page opinion from the en banc 10th Circuit recognizing that business owners have religious liberty rights. This was the first definitive federal appellate ruling against the HHS mandate. Today, following the 10th Circuit ruling, the trial court granted Hobby Lobby a temporary restraining order against the HHS mandate. 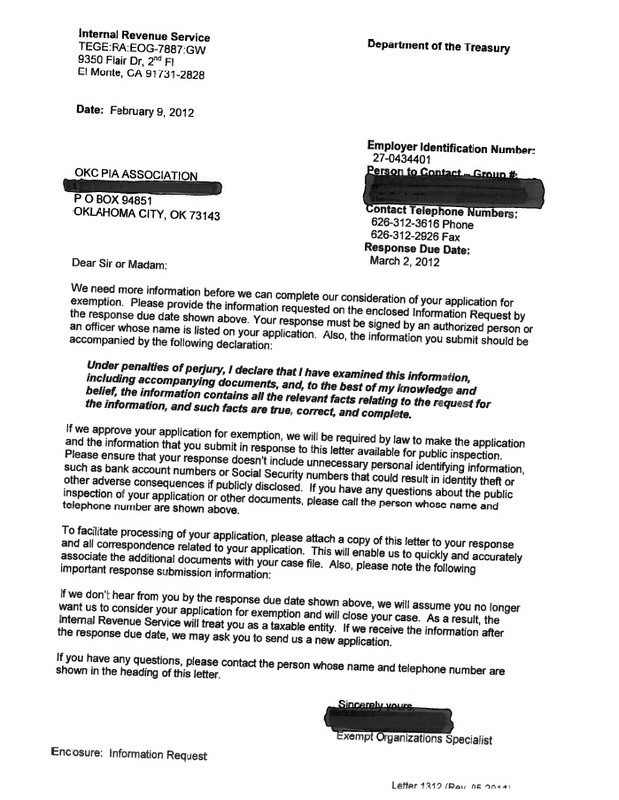 Further proceedings are scheduled for July 19, 2013, in Oklahoma City. So what is this case really about? Do religious people have the right to practice their religion outside of the walls of their church or synagogue? If you are in business, is it legal for your religion to impact the way you do business? Does the Salvation Army have the right to only hire those people who share their beliefs? Do Catholic adoption agencies have the right to adopt children to families that will raise the children with Christian values? The bottom line here is simple. Does the First Amendment allow you to practice your religious beliefs in your everyday life? It is no exaggeration to say that on Sundays in Washington during the administrations of Thomas Jefferson (1801-1809) and of James Madison (1809-1817) the state became the church. Within a year of his inauguration, Jefferson began attending church services in the House of Representatives. Madison followed Jefferson’s example, although unlike Jefferson, who rode on horseback to church in the Capitol, Madison came in a coach and four. Worship services in the House–a practice that continued until after the Civil War–were acceptable to Jefferson because they were nondiscriminatory and voluntary. Preachers of every Protestant denomination appeared. (Catholic priests began officiating in 1826.) As early as January 1806 a female evangelist, Dorothy Ripley, delivered a camp meeting-style exhortation in the House to Jefferson, Vice President Aaron Burr, and a “crowded audience.” Throughout his administration Jefferson permitted church services in executive branch buildings. The Gospel was also preached in the Supreme Court chambers. The website also contains a picture of Thomas Jefferson’s letter discussing the “wall of separation between church and state.” Reading that letter in context makes it obvious that Jefferson was opposing the establishment of a national religion–not the practice of religion by the American people. If the free exercise of religion was good enough for the founders of America, it should be good enough for their descendants! Mixed up in the news stories of the week is the story of the filibuster in the Texas Congress to stop a bill that would further regulate the practice of abortion in Texas. Yesterday Breitbart.com posted a story yesterday which provided some background on the proposed law. Polling shows that by 48 percent of Americans support the proposed ban on abortions after 20 weeks; 44 percent oppose the ban.. 80% want abortion banned after the second trimester. Among women, 50 percent oppose abortion after 20 weeks; 44 percent oppose a ban. In Texas 62 percent of the people support the ban on abortions after 20 weeks. There is an old song, “Fools Rush In (Where Angels Fear To Tread).” I feel as if I am about to be a fool by writing the following article. Paula Deen admitted under oath recently that she used a word that is politically incorrect (it is also a racial slur, demeaning, and should never be used). However, she is under attack because the word is considered the ultimate sin in political correctness. I am not going to mention that the word is used in rap music and movies all the time and no one seems to care. But Paula stepped on the toes of political correctness. As a result of admitting to the use of this word (and possibly for telling inappropriate jokes at one of her businesses), the Paula Deen empire is collapsing. Walmart, Target, and the Food Channel are cutting their ties with her. She is no longer considered a “good person,” something our society seems to think is very important. I haven’t heard anyone comment (it may have happened, but I haven’t heard it) on how many people who were offended by her use of a politically incorrect word will lose their jobs as a result of what is happening. How many restaurant workers will be laid off because of reduced business? How many television production people will be out of work because her show is no longer being produced? What will be the impact on commerce in the State of Georgia. I’m not being funny–I suspect her enterprises paid serious taxes to the State of Georgia in various forms. With all that on the table, I want to bring you back to a previous time in America. America has been, at various times in its history, a racist nation. 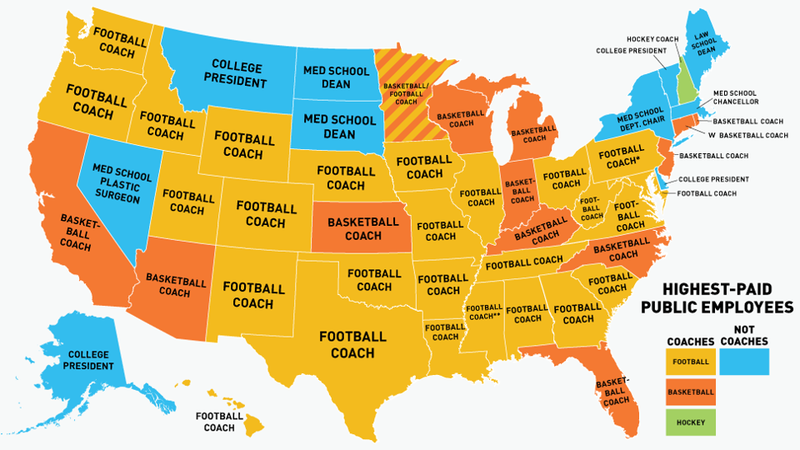 I believe we are doing better now, but I also believe what is happening to Paula Deen is not helpful to the country. By 1939, the anti-Semites had two causes: keeping America out of the European war, and keeping European Jews out of America. And they had two famous men in their ranks. Henry Ford was a true rags-to-riches hero. He was also an anti-Semite, who railed incessantly against “the Jewish plan to control the world” in his newspaper, the Dearborn Independent (circulation allegedly 700,000), which Ford dealerships distributed free of charge. A collection of Ford’s ghostwritten columns was published as The International Jew: The World’s Foremost Problem — a best-seller in Germany. Henry Ford was also know to be distrustful of black people–that is why he hired immigrants from the Middle East to work in his manufacturing plants in the mid-West. That immigration during the early days of Ford Motor Company is one reason for the large concentration of Muslims in Michigan. I am sorry that Henry Ford was a racist, but I still love my Ford Mustang! So what is the point? Racism and racists will always be with us–whether they are rightfully or wrongfully charged with racism. I believe that in most ways we are a more integrated society than we were fifty years ago, but I also believe that there are people among us whose livelihood depends on keeping the illusion of racism alive. Paula Deen needs to be allowed to continue her successful business ways without being condemned for reflecting the views of the time and place where she was raised. There is a true double standard here–the word she used is used routinely in rap music and movies. The politically correct police need to take a deep breath and get over themselves. Washington – This evening, on Hugh Hewitt’s nationally syndicated radio show, U.S. Representative John Campbell (CA-45) announced his intention to retire from public service next year at the end of the 113th Congress. Representative Campbell is a regular guest on the Hugh Hewitt show. Those of us who listen to the show appreciate his knowledge of financial matters and the principles he stands for in Congress. Representative Campbell is a CPA and is a very successful businessman. He is a member of the full House Committee on Financial Services. His rational voice will be missed in Congress. Will there ever come a time when the government feels that it has enough money to run the country, the state, or your town? I am beginning to wonder. Holly Robichaud at the Boston Herald posted an article today about the tax bill passed by the Massachusetts House yesterday. While reading the details of this bill, please keep in mind that state revenue is presently $575 million above predictions. So what did the House do? They raised taxes! How much are taxes going up? Bacon Hill says $500 million. Do you trust them? $500 million is just the first year. This is a tax package on steroids. It gets bigger every year with no end in sight. Bacon Hill indexed the gas tax to inflation which means it will increase every year. This year it is an additional 3 cents. Next year it will increase again and the following year and the following year and the following year….. It is the gas tax increase to infinity and beyond. 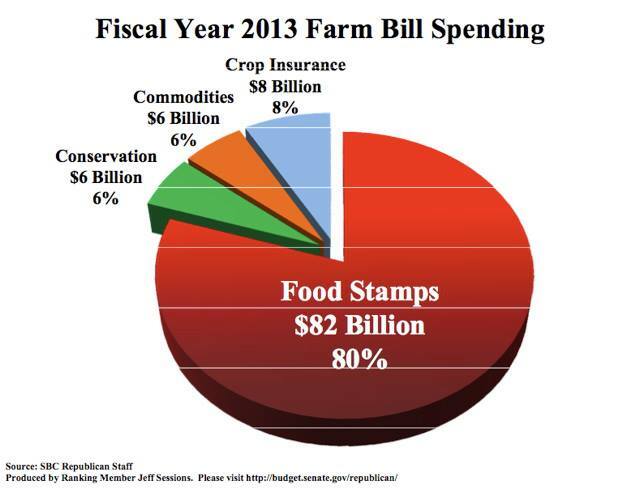 Bacon Hill also tied the tax on underground storage tanks to inflation. The cigarette tax is going up $1 per pack. This is a direct attack on poor people. Unless the voters of Massachusetts change the way they vote, we can expect to see more of the same. To unite Conservatives in order to win elections so that we can re-establish Constitutitional pinnciples and Conservative values to the Republican party. We will do that by supporting Conservative candidates who will uphold the Constitution and the laws provided therein. 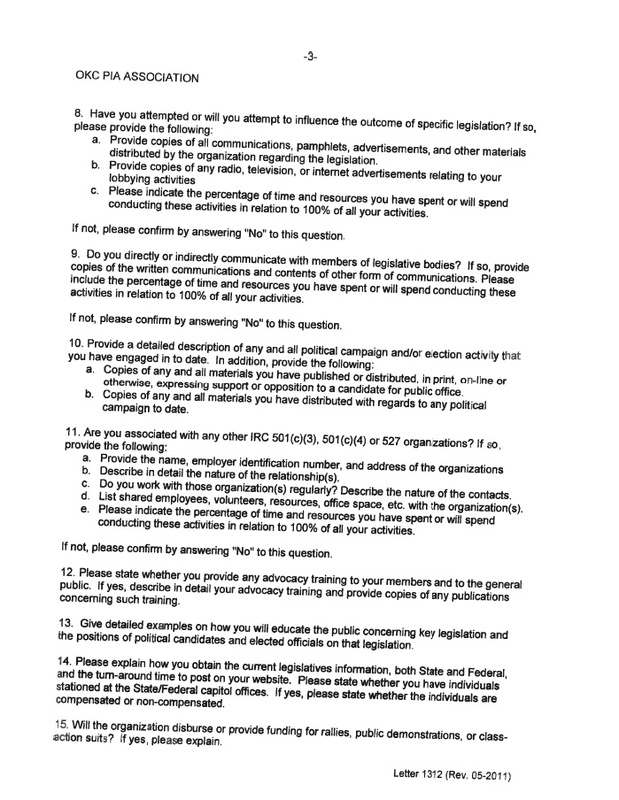 We will seek to rid the nation of all such elected officials who are not responsive to their Constituents, but instead wish to write policy and act in a manner that is against the people in which they serve, in ways that are deemed to be beneficial to only their own self-interests or to the interest of a friend, family member or one that lobbies their office for favors. This website and others like it are desperately needed right now. Please follow the link above to visit the website and see how you can help restore the role of the Constitution in America. 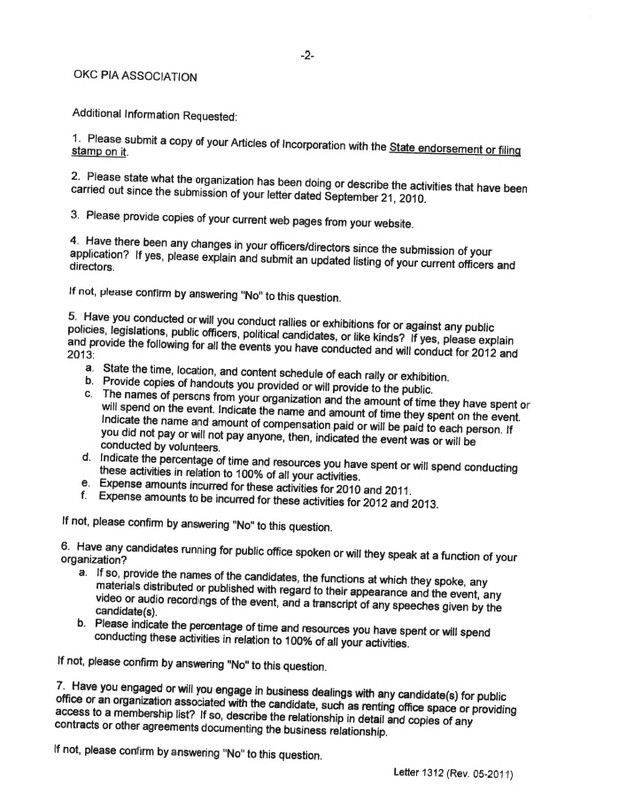 This is a copy of part of one of the letters the IRS sent to a conservative organization seeking tax-exempt status. This copy is taken from an article posted at the Daily Caller yesterday. The article states that there were twelve different groups at the IRS that targeted conservative groups applying for tax-exempt status. The revelation disproves the suggestion by a top congressional Democrat that only one IRS group was responsible for scrutinizing tea party and conservative applications. Group 7821, Group 7822, Group 7823, Group 7824, Group 7827, Group 7828, Group 7829, Group 7830, Group 7838, EOG-7887, and EOG-7888, and the Tax Exempt and Government Entities Division in Washington, D.C. all targeted conservative groups between 2010 and 2012, according to documentation compiled by the American Center for Law and Justice (ACLJ), which has filed a class-action suit against the IRS. This is not how the IRS is supposed to work. Why are we giving them more power in ObamaCare? PJ Media is reporting today that Sheikh Abdullah bin Bayyah, vice president of the International Union of Muslim Scholars (IUMS), was received by senior Obama administration officials in the White House on June 13. A report of the visit is also posted at the Investigative Project on Terrorism website today. So why does this matter? The IUMS was founded by and headed by radical Egyptian cleric Yusuf Qaradawi. The IUMS has a long history of supporting Hamas –a top Hamas leader is an IUMS member – and of calling for Israel’s destruction. Qaradawi is considered so radical that he is not allowed to enter America, so why is the White House welcoming his right hand man? Bin Bayyah’s June 13 account placed other senior officials in the meeting, including: Rashad Hussain, the U.S. special envoy to the Organization of Islamic Cooperation (OIC), National Security Adviser Tom Donilon and White House spokeswoman Jennifer Palmieri. But the account was later changed to delete the reference to Donilon’s presence at the meeting. Smith also thanked Bin Bayyah for “his efforts to bring more understanding amongst humanity” during the meeting, the Bin Bayyah account said. …What’s even more remarkable about bin Bayyah’s White House reception is that he was one of the clerics endorsing a IUMS fatwa in November 2004 authorizing the killing of Americans in Iraq. Bin Bayyah was vice president of the organization at the time. The IUMS fatwa was even promoted on the official Iraqi resistance website. More recently, bin Bayyah capitalized on the terrorist attack on the U.S. consulate in Benghazi last September to appeal to Western governments to criminalize defamation of Islam (a call seconded by some U.S. Islamic organizations), as the administration began pushing the bogus “YouTube video” justification for the attack. The Muslim Brotherhood has infiltrated high levels of the American government. Americans need to wake up to the threat that represents. The Center for Security Policy has a 10-part series on the Muslim Brotherhood in America. I strongly suggest watching at least the summary episode. Yesterday Massachusetts voted for Ed Markey to replace John Kerry in the Senate. Massachusetts is a very blue state, so the results were not really a surprise, but as Scott Brown has proved, a Republican can win in Massachusetts. Scott Brown won one election. He didn’t win the second time he ran. The first time Scott Brown ran for the Senate he had the support of the Tea Party. Scott Brown made it very clear that he was not a conservative, but that he opposed ObamaCare, the issue of the day. The second time Scott Brown ran, he ran as sort of a generic independent and distanced himself from the Tea Party. He lost. Therein lies the lesson. Michael Graham posted an article in the Boston Herald today about yesterday’s election. The Gomez candidacy is the perfect reflection of the thinking of the failed Massachusetts Republican party leadership. Find a Republican who doesn’t like Republicans, make it someone with money to self-finance all the local consultants who need jobs, and — if possible — a woman or minority. Have them run on the “I can’t wait to work with those great Democrats in D.C.” platform, spend as much time as possible criticizing the national GOP, and then ride that tide of independent voters to victory! Gabriel Gomez met all those qualifications. And, as happened 99 times before, he lost. Once upon a time there was a political party in Massachusetts called the GOP that regularly lost elections for National office and that party had a choice to make. For the 2nd time in four years they had a chance to face a Democrat after a tough primary race alone on a ballot without city counselors, town clerks, governors counselors, ballots questions , state reps or senators that might have voters who supported them to help increase the Democrat party vote. The last time this happened everyone, including the party expected to lose. But the Tea Party base was energized, they volunteered in large numbers and they helped draw volunteers and funds from members of the GOP base nationwide. Their candidate, with nothing to lose, embraced that base and highlighted a single key issue that polled well among both the party and independents who made up the majority of the electorate in the campaign. DaTechGuy points out that when Republican candidates alienate the Tea Party they lose. It’s not that the Tea Party is all that powerful, but the fact is that recently any enthusiasm and ideas in the Republican Party have come from the Tea Party. The traditional Republican party has become part of the Washington establishment–they are more interested in holding on to power than representing the American people. There is very little difference between establishment Republicans and Democrats. The Tea Party is a direct threat to the Washington establishment–they want smaller government, lower taxes, transparency in government, etc. The Republican and Democrat parties represent themselves and the low-information voters who have no idea what is going on. As more Americans wake up to the direction our government is taking us, there will be fewer establishment candidates and more people who actually want to serve in office. Unless the establishment Republicans embrace the Tea Party, they will become a permanent minority party. As long as the Democrats have the unions and low-information voters, they will maintain their power in states like Massachusetts. In case you are under the age of forty, Rodney Dangerfield was a comedian whose tag line was, “I don’t get no respect!” Unfortunately, we seem to have elected a President who has the same problem. “One of the things I intend to do as president is to restore America’s standing in the world. We are less respected now than we were eight years ago even four years ago.” That statement was made by President Obama in his first 2008 presidential debate. The problem with this statement is a lack of understanding of the fact that it would be good to be feared as well as respected. Sometimes respect is rooted in fear. Today’s Wall Street Journal (no link–subscribers only) included an editorial entitled, “Portrait in Respect.” The editorial related to the problems the Obama Administration has had in trying to bring Edward Snowden back to the United States. Hong Kong said they could not return Mr. Snowden because of a technical glitch in the extradition request. Several news sources reported that Hong Kong was under pressure from China not to return Mr. Snowden. Since then, Mr. Snowden has fled to Russia, where the Russians have said that they will not send him back to America. Meanwhile it is a safe bet that the FSB (the new KGB) is downloading information from the four computers Mr. Snowden is traveling with. Somehow I don’t think America has achieved the respect that was promised in the 2008 Presidential debate. There is a special election in Massachusetts today to fill the Senate seat John Kerry vacated when he became Secretary of State. Someone I know took her children with her when she went to vote. They are very young children, and the poll worker said to them, “You’ll be able to vote when you are 21.” Think about that for a minute–that was a poll worker–shouldn’t she be aware of the voting age? It’s not only the voters who are unaware of what is going on–it’s the poll workers! Have The Democrats In Congress Realized That President Obama Plans To Make Them Obsolete? The Hill is reporting today that President Obama’s plan to combat climate change does not include any action by Congress. President Obama is launching fresh battles over climate change with plans to curb emissions using executive powers that sidestep Congress — including controversial rules to cut carbon pollution from existing power plants. So why is the President making a speech about climate change today? He is hoping to take the focus off of the IRS, Benghazi, and the other scandals that have plagued his administration. President Obama does not seem to understand the concept of working with Congress to reach a compromise on proposed legislation. Hopefully, we will still have three viable branches of government by the time the Obama Administration is over. Please follow the links above to The Hill and WattsUpWithThat to read further details of the President’s proposals. “Where In The World Is Carmen Sandiego?” was an educational computer game that we used to help our children learn geography. I don’t think he’s doing it to teach us all geography, but that is the gist of the Edward Snowden story right now. I still have not figured out whether Mr. Snowden is a hero or a goat. I do have a few general comments on the entire episode, however. Mr. Snowden is a product of the American education system. He is a high school dropout. He is young–he is not necessarily mature enough to make the decisions he is currently facing, nor does he have enough knowledge to make those decisions. Consider this. Mr. Snowden grew up in an education system that does not value America or American values. He has been taught on one hand not to trust the government and on the other hand that the government will take care of him and solve all of his problems. He finds himself working at a job that increases his suspicions of the government (and who knows how many “Matrix” movies he has watched), and he has no idea what to do. He starts exploring the Internet—Wikileaks websites–and decides Wikileaks has the right idea, so he gets in touch with them. At that point he has started a runaway train that cannot be stopped. Mr. Snowden will never again enjoy the freedom that we have as Americans. He has been so miseducated in America that he has no idea what he has lost. Admittedly, the present Administration has a lot to answer for in terms of spying on Americans and friends and foes of America, but unfortunately, that is all too easy to do in today’s world. I think spying on innocent Americans is wrong–I don’t think it requires fleeing the country with four computers. I wonder exactly what was on those four computers. As I have said, I have not yet concluded whether Mr. Snowden is a hero or a goat, but his choice of countries to align himself with has me leaning toward goat. Is this really what we had in mind? The Environmental Protection Agency (EPA) is not limited by scientific facts–they have an agenda to limit American energy production and they refuse to let facts get in the way of that agenda. A recent article at Investor’s Business Daily clearly illustrates that fact. First, the contamination was found in two “monitoring wells” drilled by EPA outside of town, not in water wells that actually supply residents their water. EPA use of “dense soda ash” to drill its monitoring wells into a hydrocarbon-bearing layer probably skewed the results. What the EPA report doesn’t say is that the U.S. Geological Survey has detected organic chemicals in the well water in Pavillion for at least five decades, long before fracking was done. The deepwater wells that EPA drilled are situated near a natural gas reservoir. The scientific method used in this study wouldn’t pass the scrutiny of a high school science student. Oddly enough, the EPA has decided not to subject their study of the negative impact of fracking to a review by the scientific community. Erika and I have been covering the Environmental Protection Agency’s, shall we say, “complicated” relationship with the truth under the Obama administration for some time now. One of the many tales coming out of that department was being featured as recently as Thursday, dealing with the widely panned study in Wyoming which finally sought to tie fracking (hydraulic fracturing) to ground water contamination. The study was due for scientific peer review, attempting to determine if the chemicals found in well water were truly the result of fracking in the area, but somehow the process kept getting delayed, over and over for a year and a half. At long last the wait is over. As Investors Business Daily reports, the EPA has found a solution which will surely satisfy everyone. They just won’t do it. The article at Investor’s Business Daily goes on to mention the links between OPEC and the recent anti-fracking film “Promised Land.” We need to keep in mind the earthquake that American energy independence would be to the politics of international relations. American energy independence would also give us the freedom to refuse to support those Middle Eastern governments that are not democracies and have no intention of granting freedom to their citizens. Obviously, OPEC is very threatened by that possibility. The best thing America could do right now to promote our own economic growth and to promote freedom around the world would be to become energy independent and to stop funding oil-rich countries that hate us and deny freedom to their citizens. The video below is posted on YouTube. 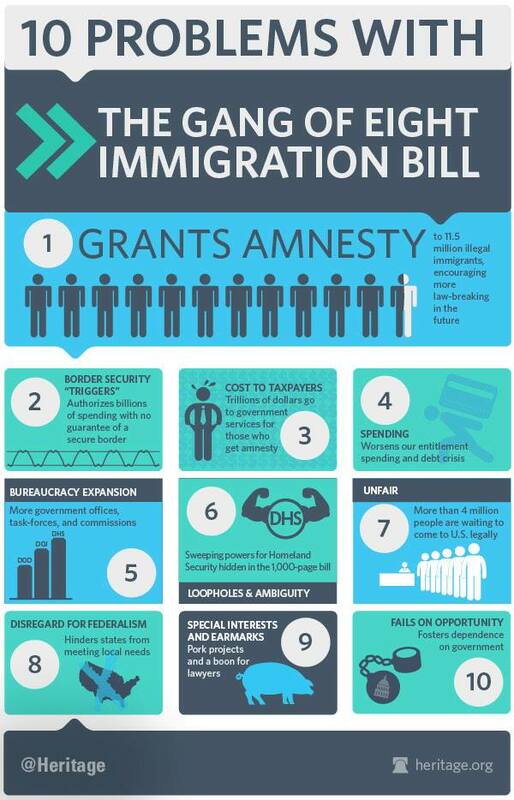 It makes some very good points about the need for Congress to take a little time to study the immigration bill before voting on it. We will ensure that bills are debated and discussed in the public square by publishing the text online for at least three days before coming up for a vote in the House of Representatives. No more hiding legislative language from the minority party, opponents, and the public. Legislation should be understood by all interested parties before it is voted on. The website states that the promise was kept on January 5, 2011. It might have been kept then, but it is about to be broken now! More than a thousand pages were added to the bill on Friday night. Do you believe anyone will have read and studied them by the vote on Monday? Please email your Senators (and any other Senators you know who are planning to vote for cloture) and ask them to read the bill before voting on it. The Schumer/Hoeven/Corker amendment is nearly 1,200 pages long, was just filed Friday afternoon, and will be voted on this Monday. We saw with Obamacare what happens when Congress rushes to pass such unwieldy legislation. The Schumer/Hoeven/Corker “border security” amendment to the deal doesn’t require that the border actually be secured, nor does it require any security enhancements before legalization occurs. This legislation makes the same mistake of the 1986 amnesty — legalization today for the false promise of border security tomorrow. It will encourage more illegal immigration and must be stopped. We need to fix our immigration system. This is not the way to do it. This is one of those bills that will not be important until we need it and don’t have it. What the bill does is protect the major parts of the American electrical grid from electromagnetic pulse (“EMP”). The United States became aware of the EMP during nuclear tests at Bikini Atoll during the 1940’s and 1950’s. After one of the nuclear tests, all of the traffic lights in Hawaii stopped working properly. An investigation began, and the concept of EMP was born. EMP can happen naturally or it can be man-made. On June 18, the Center for Security Policy posted an article about the EMP threat. It’s no idle threat, either: in March 1989, the power grid in Quebec went from normal to shutdown in 92 seconds during a huge magnetic storm, according to a recent report by insurance giant Lloyds of London. It took 9 hours to restore normal operations, during which time ﬁve million people were without electricity. Total cost: about $2 billion. The bill centers on protecting modern high-voltage transformers, which can weigh up to 400 tons, cost millions of dollars, and are made in only a handful of facilities in the U.S. A June 2012 report a June 2012 report by the Dept. of Energy called them a key failure point in the grid, citing volatile raw-material pricing – copper and electrical steel – and a lead time for manufacturing that can stretch to 20 months. “It’s critical that we protect our major transformers from cascading destruction. The SHIELD Act encourages industry to develop standards necessary to protect our electric infrastructure against both natural and man-made EMP events,” Franks said, according to the Washington Examiner. Shielding our major transformers would not be a great expense, and that shielding would prevent a much greater expense. H.R. 2417 needs to be passed and acted on quickly.